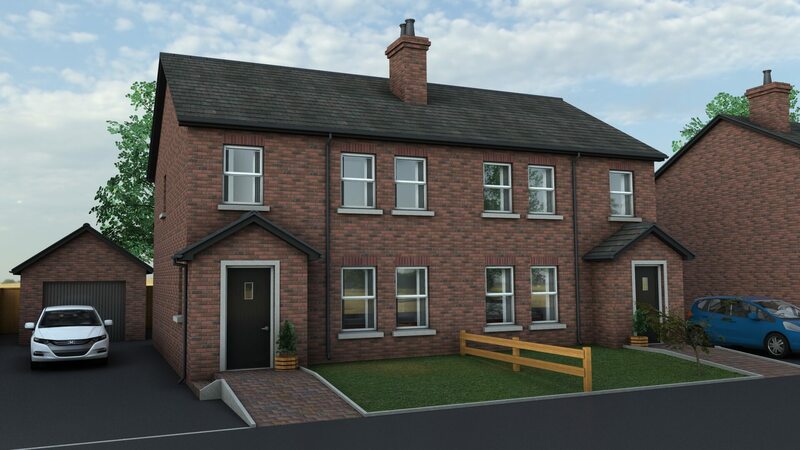 The Cusher is one of our medium sized 3 bedroom, semi detached properties available at Riverglade Meadows. Offering 1076sq. ft. of exceptionally well designed living space, including a large kitchen diner with rear patio access, an option for a utility room and generous living room. The Cusher also has three large double bedrooms (en suite to master bedroom) and main bathroom with free standing shower. Kitchen/Dining 5.9m x 3.6m 19' 5" x 11' 10"
Lounge 4.7m x 3.8m 15' 5" x 12' 7"
WC 1.8m x 0.9m 6' 1" x 2' 11"
Bedroom 1 4.3m x 3m 14' 1" x 9' 11"
Bedroom 2 4m x 3m 13' 1" x 9' 11"
Bedroom 3 3m x 2.8m 9' 9" x 9' 2"
En Suite 2.9m x 0.9m 9' 6" x 2' 11"
Bathroom 2.9m x 1.8m 9' 6" x 5' 11"